Is bigger always better? Not if you’ve been yearning to try a new trend in vacation accommodations: tiny house camping. 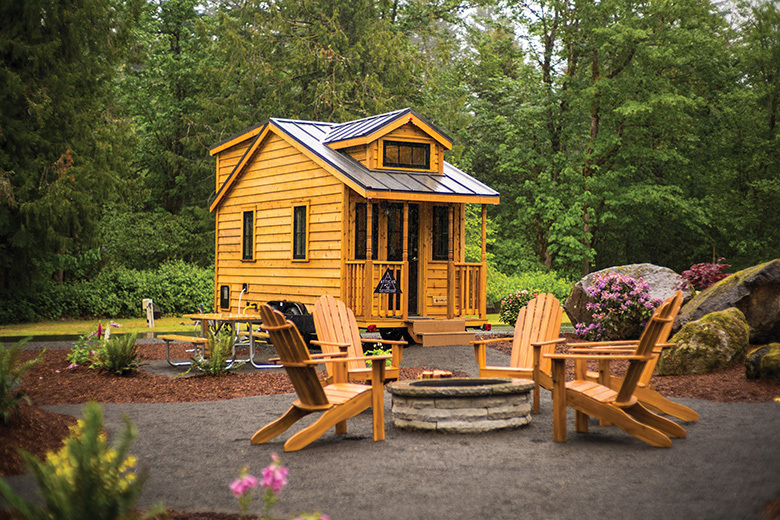 Opening in July, Petite Retreats’ Tiny House Village in Leavenworth’s Thousand Trails RV Campground (Leavenworth, 20752 Chiwawa Loop Road; 888.503.778; $135/night) boasts dwellings that are smaller than most hotel rooms, yet artfully accommodate a kitchen, flat-screen TV, bathroom, dining area and bedroom in 175–260 square feet. With names and design accents that complement Leavenworth’s Bavarian theme (“Adeline,” for example, features bright blue paint and timber accents), these tiny homes—which sleep from three to five people—prove the old adage: Good things come in small packages.